Iconic Pet products are restricted to be sold on any third party websites. You would need a prior approval from Iconic Pet to sell the products on the third party websites like amazon, eBay, Walmart, target etc. You can sell the products on your own website and also in a brick and mortar establishments. Foldable Double Door Crate with Divider - 24"
Scratch It! offers safe and ideal scratching for kitty at an affordable price and yet durable and long lasting. When the cat’s scratching goes into top gear, Scratch it! 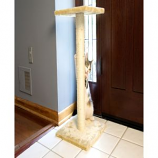 – Sisal Cat Scratching Post is an ideal product to let him scratch and play vigorously on one of these economical scratching posts. A good quality cat scratcher post helps you save your household furniture. Cats have a natural need to scratch, and if an alternative is not provided they tend to scratch upon household surface. To keep your Kitty’s claws conditioned and to satisfy her scratching needs we have scratchers that meet your cat’s fondness and your budget. Foldable Double Door Pet Dog Cat Training Crate with Divider 30"
This Peek-a-boo Sisal Dual Post Cat Tree Condo Tower offers your kitty friends a place to stretch, play, scratch, and unwind. It provides the perfect comfy retreat for cats. 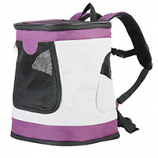 We have also provided multiple ways in and out so your feline can sneak in one way and pop out another for added adventure. Is your cat anxious to explore its hunting instincts? Let him jump, climb or perch atop one of the three plush platforms and lie in wait for unsuspecting prey or just enjoy the view. The top platform even features a supportive backrest and plush padding for extra comfort. Suitable for cats of all ages and activity levels. Iconic Pet’s Eight Panel wire Playpen is easy to set up and break down for storage. These playpens can be easily assembled in no time and do not require any tools. Corners are rounded for ultimate safety of your pet.This portable pen has secure triple latch door access for maximum safety. It’s a great playpen for your lovely pets. 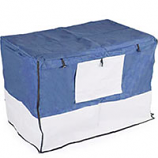 It can be used for training, as a kennel or for other purposes both indoor and outdoors. Iconic Pet’s playpen is the perfect solution that allows you to focus on your work while your beloved pet is playing in it’s Playpen. Dog exercise pen provides a safe zone for a variety of pets indoors or outdoors. With these wire pens, you can create an area where your pet can play and be active. Iconic Pet Double divided tube pen can be used both indoor and outdoor and is designed to keep two pets separated while confined in one space. 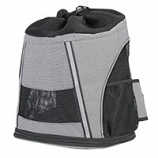 The Exercise Double Tube Playpen will be ideal for any pet lover with multiple pets. Two luxurious pet pens built into one, saves space and costs significantly lower than two individual playpens. This heavy duty doubled divided playpens are ideal for multiple pets that have to be confined separately. Have peace of mind to contain your pets within the enclosure and not worried about pets bothering each other.The doors are equipped with latches for maximum safety and security. Quality constructed with simple assembly instructions will set up easily in seconds without using any tools.